Recessed Standards, 1/2" slot. These recessed standards with 1/2" slots spaced 1" on center will give your store a clean looking perimeter display. 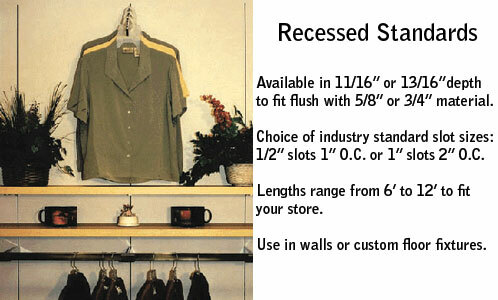 Also install recessed standards in custom floor displays for a clean look for your sales floor. Recessed standards are available in a variety of lengths to suit your display needs.